As its name implies, the Ministry of Community & Stewardship focuses on the building of our parish and outside communities, as well as encouraging our parish family to support our mission with their time, talent and treasure. It includes our Pastoral and Finance Councils and all other administrative committees. In addition, groups of parishioners who are willing to share specific services or offer their time on an as-needed basis are included. 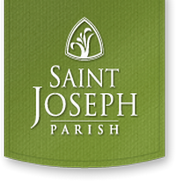 St. Joseph holds parish and community events each year, and these are organized under the umbrella of Community & Stewardship. The goal and purpose of the Institute is to enliven the parish’s spiritual and liturgical life utilizing the Documents of the Second Vatican Council, the newly translated Roman Missal, the Seasons and Feasts of the Liturgical year bound together in the Word of God. We strive to invite each and every member of our community to participate fully in our worship. The parish also works to invite each person to serve the community by ministering in one of the many liturgical roles. As this work is integral to our faith and community, the Worship Committee members join with the Director of the Institute for Parish Worship to discuss plans, carry out the work, and bring parishioner insight to all that we do as a faith community. This committee assists with the oversight, planning and evaluation of the Christian Formation of all members of the parish, throughout their lifetime. This includes Child Ministry, Youth Ministry, Young Adult Ministry, Adult Formation, and Sacramental preparation. We are a community of believers who create an awareness of the poor and address the causes of injustice, while providing opportunities to be blessings to each other. The members of the Human Concerns Committee serve as representatives of St. Joseph Parish and all parishioners, by fulfilling their Baptismal call to serve one another. They serve the poor, hungry, homeless and those in need of advocacy in our own church, our local community, Ozaukee County, our State, Country, or the world. The committee prayerfully discerns and provides assistance and/or service to a variety of organizations. While this is a sub-committee of the Parish’s Finance Council, it serves a very important role in this ever changing technological world. Formed in 2011, its mission is to “…embrace, research, and introduce technological solutions to supplement, assist and enhance the faith journeys of the St. Joseph Parish community in the ministries of worship, education and service.” This committee guides the use of technology in our parish and school so it is used in a manner that honors the teachings of the Catholic Church, its traditions, and Scripture – respectful of all generations and age groups.